!! 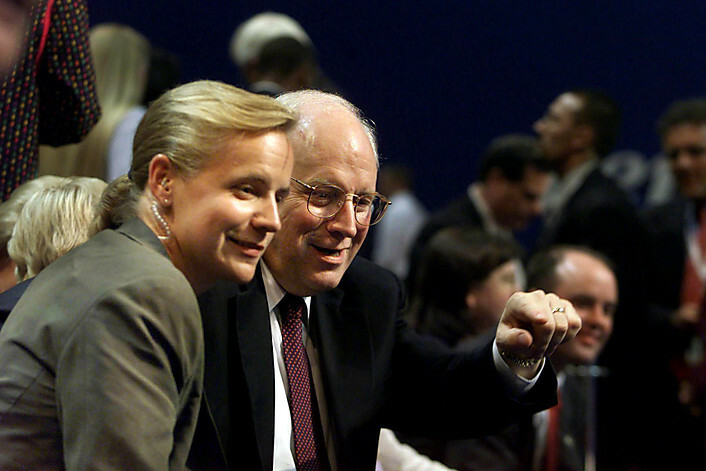 OMG, we’ve come full circle: Mary Cheney got married !! 1 Comment on "OMG, we’ve come full circle: Mary Cheney got married"
His daughter looks more manly than I do, and Im a man. I really hope that no gay person celebrates this woman’s wedding. She has done nothing to influence her father to rethink gay people, and her father is pretty much the epitome of evil on earth. Why there is no warrant from the Hague, for war crimes, for his and the entire Bush administration, boggles the mind.